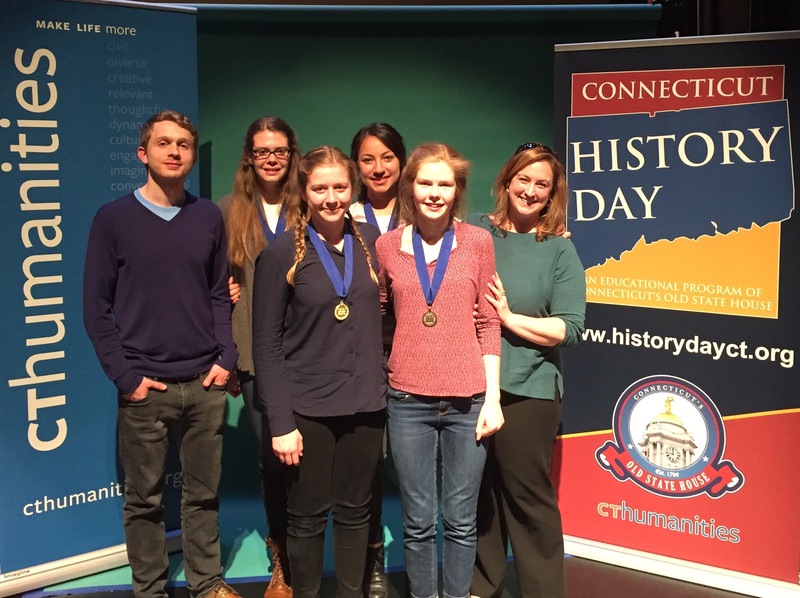 On Saturday, six Innovation Lab students competed in the National History Day State Finals at Central Connecticut State University. Participants spent the days and weeks before the competition putting the finishing touches on their projects, getting feedback from parents, teachers and peers, and not sleeping nearly as much as they should have. But their drive and desire to perfect their work came completely from within; there was no grade attached, nor pressure put on them by teachers to win. Sure, winning is nice, but students demonstrated an ownership of their work that extends beyond first, second, and third place. They have become experts in their topics, and because of this, were driven to present the most professional iteration of their project. By taking a personal and local approach to history, they were able to play the part of the historian, preserving the past and drawing lessons for today. The value of their work reaches beyond both the classroom and the competition. Flora, Katherine, Juliana, and Nicole earned 1st place in the Senior Group Performance category for their project on Women Airforce Service Pilots during World War II. With an extensive collection of research that would make a doctoral student proud, including interviews with two WASPs–Greenwich resident Gloria Heath and Bernice Haydu of Florida–their performance illustrates the profound impact World War II had on the lives of these women and the country as a whole. As the WASPs continue to fight for the right to be buried at Arlington Cemetery, the performance not only shines a light on an aspect of history often ignored, but calls on the US government to right a wrong of the past. They will be heading to Maryland in June to compete against the top performances in the country. Juliana, Nicole, Katherine, and Flora with Mr. Belanger and Ms. Hawes. 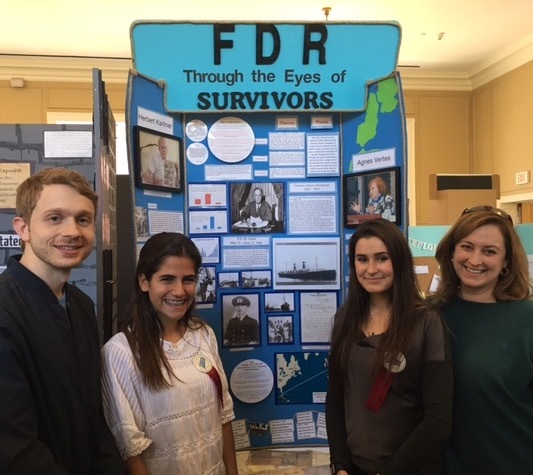 Julia and Sofia received a special prize for Outstanding Entry that Best Incorporates Jewish History, Heritage, and/or a Jewish Personality from the Jewish Historical Society of Fairfield County for their project on FDR’s policies toward Jewish refugees during the Holocaust. Through interviews with Herbert Karliner, a passenger on the SS St. Louis, and Agnes Vertes, a Holocaust survivor, they evaluate FDR’s policies and actions from the perspective of the people who needed his help the most. With current connections to the Syrian Refugee crisis, their project sheds light on the political, social, and economic factors that shape how a country responds to international challenges. Julia and Sofia with Mr. Belanger and Ms. Hawes. Hearing our students’ names called during the award ceremony was no doubt exciting. But reflecting back on the project, and more broadly, the first year of Innovation Lab, we feel proud to be part of such a passionate learning community–a place where students take the initiative, go the extra mile, support one another, care about their work, and embrace critical feedback to become better thinkers, writers, and learners. We couldn’t be more impressed. Congratulations to the students and the teachers! Really impressive and everyone should be feeling proud!! !